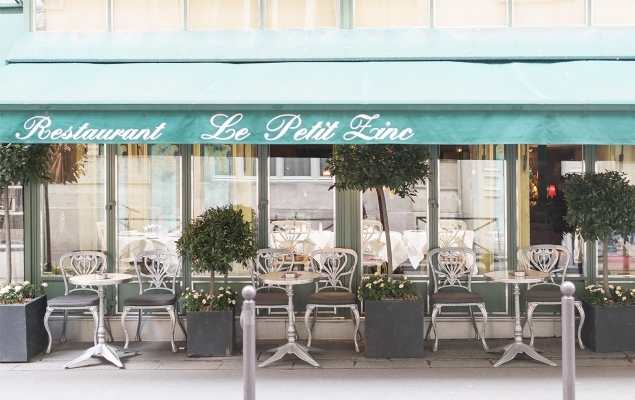 From the quaint market streets and soaring Eiffel Tower views of the 7th arrondissement to the literary cafï¿½s and fabulous shops of Saint-Germain, discover the best neighborhoods in Paris. At ParisPerfect.com, we are passionate about the neighborhoods where our apartments are located. Our hand-picked apartments are found in only the best neighborhoods, near the romantic Seine river, and close to museums, monuments, fashion boutiques, and the cafés and restaurants where local Parisians love to dine. We want you to enjoy every minute and have the vacation of a lifetime! A stay in one of our Paris Perfect vacation rentals in the 7th arrondissement puts you a stone’s throw away from many of the city’s landmarks, including the Eiffel Tower, Champ de Mars gardens, the Invalides, Rodin Museum, the incomparable Musée d’Orsay and the cutting edge Musée Branly to name a few. 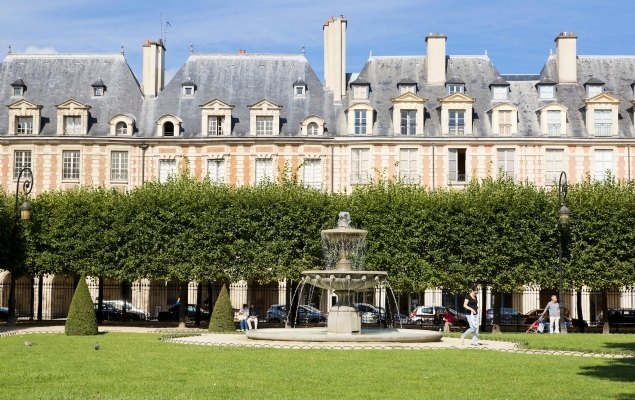 With its proximity to the Seine, fabulous open air markets and stately tree-lined avenues, the 7th is considered one of the best walking neighborhoods. 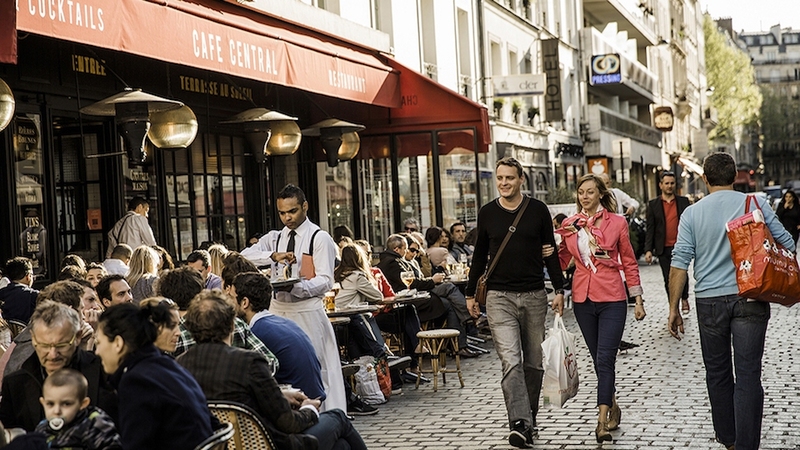 Shopping, dining and living alongside Parisians, this is Paris as you have imagined and dreamed! The 6th arrondissement is located on the Left Bank, and is home to the atmospheric St-Germain-des-Prés quartier, the Latin Quarter and the Luxembourg Gardens. Lively, artistic and centrally located, the 6th arrondissement is filled with art galleries and antique shops, as well as some of the city's best small art museums. The 6th arrondissement is also where you'll find the impressive Musée de Cluny and two of Paris' most famous cafés, Café de Flore and Les Deux Magots. Stepping out the front door of your Paris Perfect apartment rentals such as the Corton, Chassagne and Burgundy you will find yourself amidst some of Paris’s most charming streets, lined with quaint shops, patisseries, bakeries, wine shops and cafés, making the neighborhood an absolute paradise for food lovers, shoppers, and coffee drinkers. The tiny Île de la Cité is where the history of Paris begins. It was here the first inhabitants settled on the small island around 300 BC, and here where the Romans later founded the town of Lutetia. This settlement would become the seat of political and religious power for the ancient Kings of France. 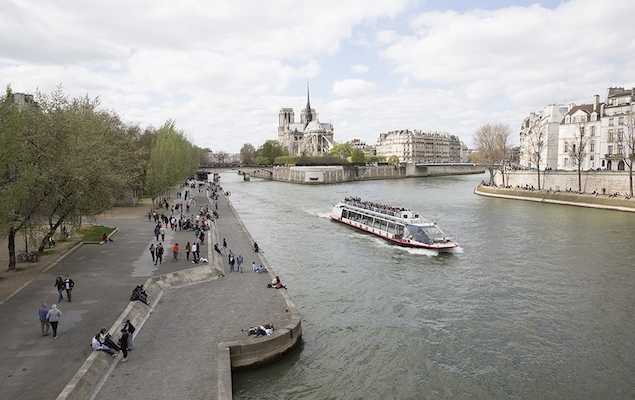 As the birthplace of Paris and an important center of wealth and influence, it comes as no surprise that the Île de la Cité boasts some of Paris’ key sights. Visitors come from around the world to see the famous Notre-Dame Cathedral and discover the charms of the Île de la Cité. Take a leisurely stroll around the island to visit the Sainte-Chapelle with its breathtaking walls of shimmering stained glass, the grand Palais de Justice law courts, and the Conciergerie, a prison used during the Revolution. Don't miss peaceful Place Dauphine with its lovely cafés and restaurants. Enjoy the best of Parisian living at our residence at 25 Place Dauphine to enjoy a convenient central location between the Left Bank and Right Bank! Once the haunt of old nobility, the Marais neighborhood in Paris’ 3rd and 4th arrondissements is a popular and thriving community known for its trendy boutiques, restaurants and wonderful museums. Tourists crowd the narrow pre-Revolutionary streets to absorb the atmosphere of this lively Parisian neighborhood. The Marais neighborhood dates from the 17th century when noblemen began building large mansions here. These are the grand hôtels that line the streets of the Marais today, many of which have been restored into residences and museums. Be sure to visit the Musée Carnavalet, dedicated to the history of Paris. Le Marais is also home to the Musée Picasso, containing an unparalleled collection of works by this famous modern artist. One of the perks of staying in the 7th arrondissement is that you’re just across the Seine river from Paris’ grand Champs-Elysées district. Crossing over the Seine on the beautiful Pont de l’Alma, Pont des Invalides or the Pont Alexandre III bridges takes you to Paris’ 8th arrondissement. Walking along the broad and elegant Avenue des Champs-Elysées, you’ll discover a different world of luxury boutiques displaying Paris’ world famous fashions. This is the place to see and be seen, so sit back and enjoy some topnotch people watching from one of the cafés lining the street. Find more information about shopping in the Golden Triangle, or Le Triangle d’Or here. Nearby you’ll fine Paris’ famous hotels, such as the Plaza Athénée, Bristol, the Hôtel de Crillon, and the Four Seasons Hotel. 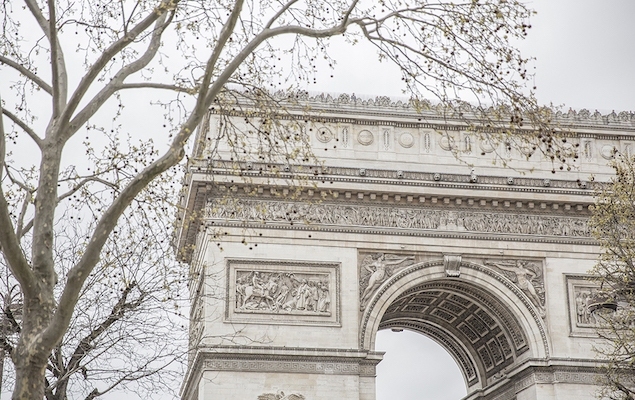 A visit to Paris is not complete without seeing the Arc de Triomphe, offering stunning views of the Avenue des Champs-Elysées and Paris. Visiting the chic 8th arrondissement is a real must during your stay in Paris. 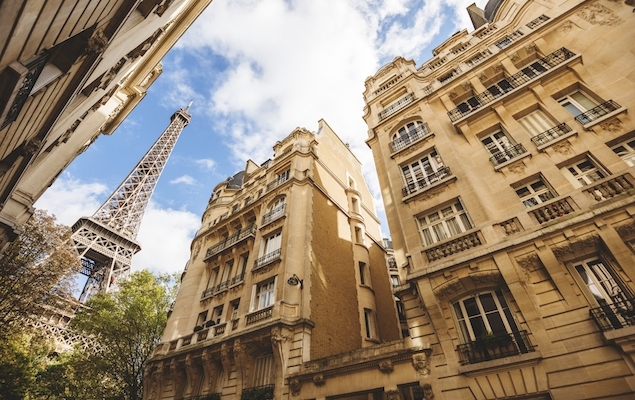 Our Paris Perfect apartments in the 7th put you just a leisurely stroll away! Welcome to the 1st arrondissement, home to royal palaces, beautiful gardens, the impressive Louvre Museum and some of the best shopping in Paris. France’s kings and emperors once walked along the stately Tuileries Gardens, and there’s still an air of royalty about this stately quarter. 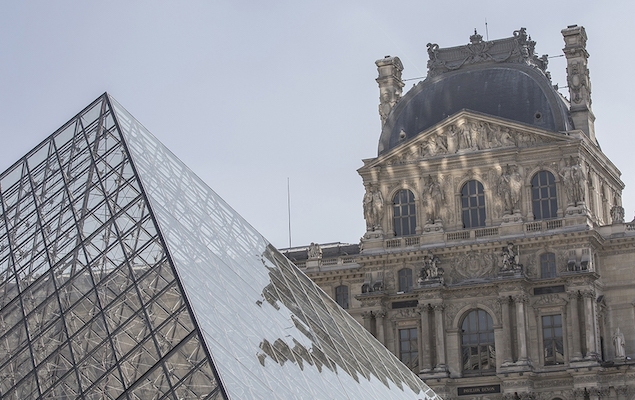 Art lovers will enjoy staying in the 1st arrondissement near the Louvre Museum, the largest in the world, the Musée des Arts Décoratifs and the Impressionist treasures at the Musée de l’Orangerie. 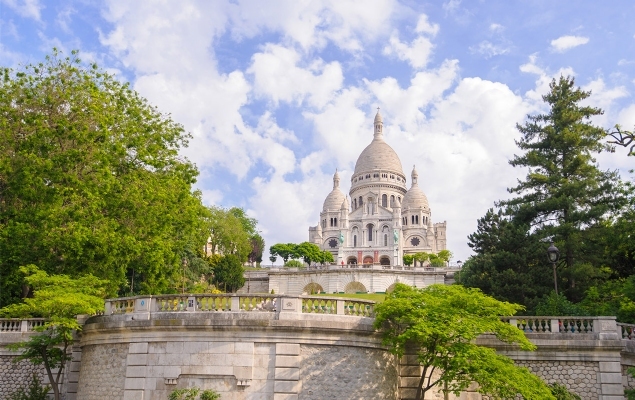 Lovers of French rom-com Amélie will adore Montmartre, Paris’s pretty 18th arrondissement, home to many of the cult film’s quirky brasseries, parks and cobbled streets (including Café des Deux Moulins at 15 rue Lepic). The cherry on top of this charming, hilly northern quarter is the Sacré-Coeur Basilica, sporting lofty white domes visible from all over town. Once dotted with windmills and vineyards, this rustic neighborhood was annexed to Paris in 1860, becoming a haunt for artists and bohemians including Picasso, Van Gogh and Toulouse-Lautrec. Portrait painters still flock touristy Place du Tertre – for racier art catch a cabaret at the iconic Moulin Rouge. Glimpse the only working vineyard Le Clos Montmartre at rue des Saules or sample its wines in the local bars. Fabled Montmartre borders the more central 9th arrondissement, which hosts the historic Palais Garnier opera house, museums and theatres. The former red light district Pigalle has reinvented itself, with hip SoPi (South Pigalle) a magnet for foodies. For classical architecture wander, Quartier de la Nouvelle Athènes, near atmospheric Musée de la Vie Romantique. The 9th boasts upscale department stores or unearth vintage finds in the 18th’s intriguing Porte de Clignancourt flea market. A stay in a stylish Paris Perfect vacation rental in the 18th or 9th also promises seductive drinking and dining.